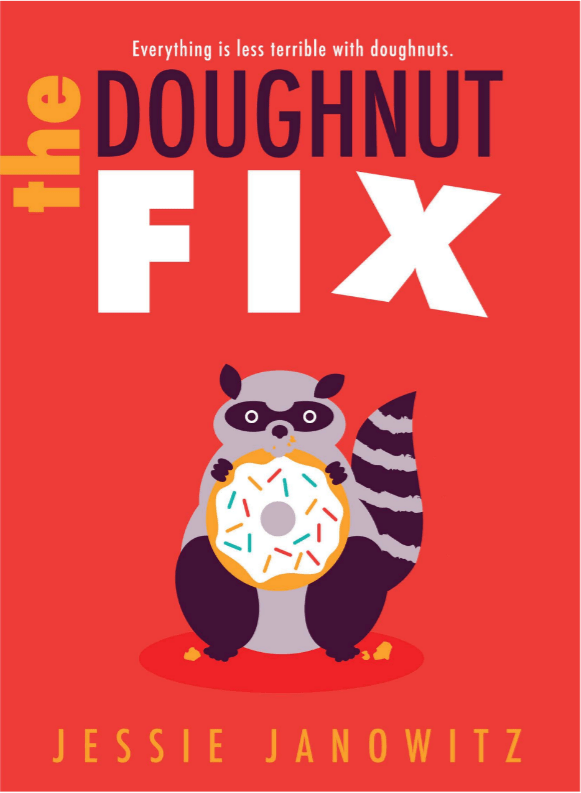 Jessie Janowitz joins us today for the cover reveal of her brand new middle grade book, The Doughnut Fix! Watch the video below, then keep reading to learn more about the inspiration behind the story. Can you share what inspired the main story that unfolds in The Doughnut Fix? 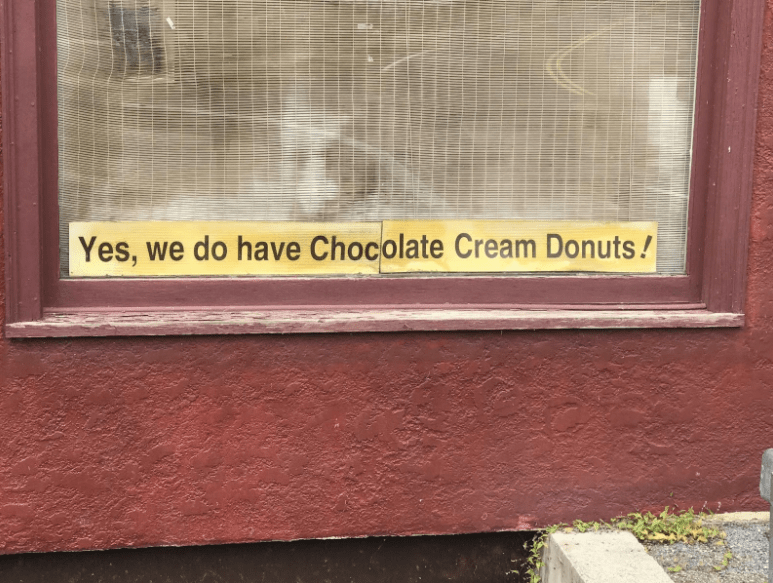 This sign is in the window of a small market in a very small town I drive through all the time. It always made me laugh and wonder what the story behind it might be. I never went inside, partly because I didn’t want the real story to get in the way of the one I was imagining. Jessie: I had so much fun writing the scenes where something isn’t going Jeanine’s way. Jeanine is the bossy, brainy sister of the main character, Tris, and she’s constantly blowing things out of proportion. Writing characters who don’t act reasonably leaves open all kinds of deliciously ridiculous possibilities, such as having Jeanine threaten to put her parents under citizen’s arrest. Since you’re a debut author, what was the most difficult part of creating this story? What do you think you’ve learned for your next book? Jessie: Don’t look back until you get to the end! My favorite form of procrastination is tinkering with words, and I’ve wasted a lot of time polishing language in a scene that I ended up cutting. I’m writing the sequel right now, and I’m trying (not always succeeding) to push myself to get to the end of the draft before I start polishing. Is there a book from your childhood that you’d say heavily influenced The Doughnut Fix? Jessie: All the Ramona books by Beverly Cleary. Jessie: I hope this book encourages readers to follow their passion, even if it is for something other than doughnuts! Thanks for sharing The Doughnut Fix with us! The Doughnut Fix will be on sale from Sourcebooks Jabberwocky beginning April 1, 2018. Jessie Janowitz is a graduate of Princeton University’s undergraduate creative writing program and holds a J.D. from University of Pennsylvania Law School. She’s currently in the Writing for Children MFA program at Vermont College of Fine Arts. This is her debut novel. 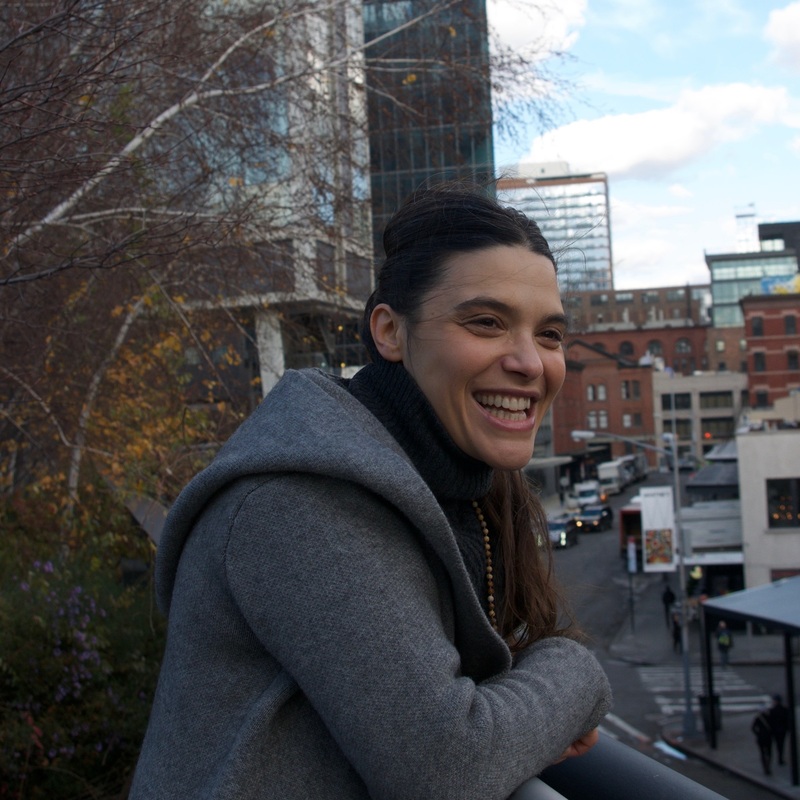 She lives in New York City with her husband and three children. To find out more about Jessie and her work, visit her on jessiejanowitz.com, twitter, or facebook.